UK Quizbowl was set up in 2018 as the official governing body of the fast growing game of quizbowl in the UK. Quizbowl has been around for a number of years in this country and has been increasing in popularity, partly as a result of the success of people who play quizbowl on the TV show University Challenge. There was clearly a need to set up an organisation to help increase participation further. Our main aims as an organisation are to increase the number of people playing quizbowl, ensure the safety and happiness of competitors, and foster diversity within the game. We will help run a series of quizbowl tournament throughout the year, which are aimed at players ranging from complete novices to veterans who have been playing for years. More details can be found on the events page. UK Quizbowl is also very keen to help interested students start playing quizbowl for the first time. 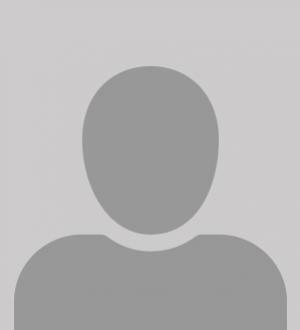 You will find a large amount of resources on this website, including links to past questions and advice on how to study by current top players. If you are interested in setting up a quiz society at your university but do not know where to start or just want to know more about upcoming tournaments, please feel free to contact us at contact@quizbowl.co.uk. One thing to point out: UK Quizbowl is currently just starting out, so more material will be added to this website over the course of the 2018-2019 season, including detailed results and analysis of tournaments as they are played throughout the year. We are currently consulting on the important issues of safeguarding and diversity, and will update the website accordingly when we have policies in place in these two areas. George is a founding member and President of UKQB. He did an undergraduate and Masters degree at Oxford, where he intermittently played quizbowl. After a short break from academia, he returned to Oxford for more punishment as an DPhil in Economics. He is currently Squad Captain for OUQS. George's focus as President is growing the game across the country and trying to make quizbowl as affordable as possible. Daoud Jackson is a founding member of UKQB and its current Treasurer. After being gripped with the quizzing bug while studying history at the University of Oxford, he has been passionate about giving as many people as possible the chance to beat him to quizbowl questions. Vitalijs Brejevs is a founding member and Secretary of UKQB, who is also responsible for the technical side of the website. He represented the University of Glasgow on University Challenge whilst working on his undergraduate degree, but only got involved with quizbowl during his master's studies at Pembroke College, Cambridge. When not running or playing volleyball, he is currently studying for a PhD in Mathematics at the University at Glasgow. 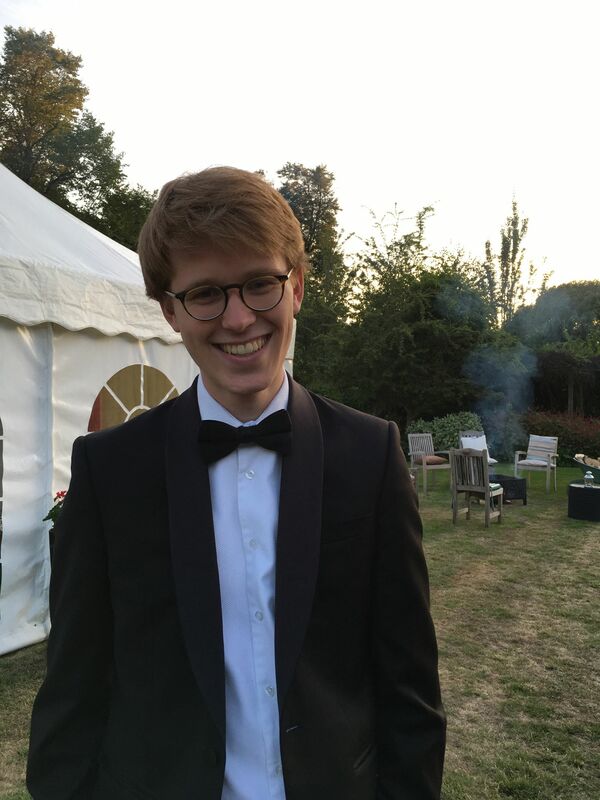 UKQB’s Tournament Supervisor, Evan Lynch began his quizzing career whilst studying Natural Sciences at Christ’s College, Cambridge, where he followed up an unsuccessful appearance on University Challenge with multiple unsuccessful efforts to win the British Student Quiz Championships. He continues to play quizbowl whilst working on a PhD in Chemistry at the University of Southampton and Diamond Light Source, and he also plays for the Nomads in the Quiz League of London. He has served as the head editor of multiple UK tournaments, including Cambridge Open, MKULTRA and every iteration of British Novice. Dealing with social media for UK Quizbowl, Ronny Jackson studied Economics at Brunel University but didn't discover the quizzing world until he'd long since graduated. Currently a member of the Quiz League of London, he plays on a team alongside a Fifteen to One champion, a Mastermind champion and an Only Connect champion, and has learned a huge amount through being in such rarefied company. He owns a cat who likes to leap onto his desk and walk across his keyboard, so any spelling mistakes are her fault, and his specialist subjects include gaming, chess and the National Hockey League. Brandon is the Diversity Officer at UKQB. Although he never actually played quizbowl while he was at university, he has been a regular moderator for years, including at national championship tournaments in the USA. He also remains heavily involved in competing in quizzes of all types, and has been a regular contestant on quiz shows back in America for more than a decade. When he is not preparing for quizzes, Brandon can usually be found rock climbing or searching London for New-York style pizza that actually tastes like it's from New York. Alexander Peplow is an Ordinary Committee Member for UKQB. He is currently doing a doctorate in medieval history at Merton College, Oxford, and was on the runner-up team in the 2017/8 University Challenge series. He is now the president of OUQS, and sometimes even manages to play for them. He has written for a variety of tournaments, including British Novice. Other than quiz, he enjoys singing, walking, and finding out ever more obscure facts about popes. Paul Wyard is an Ordinary Committee Member on the UK Quizbowl committee. He is a third year law student at Oxford Brookes University and has been vice president of OBUQS for two years running. A committed quizzer since he began university, he has played at a number of tournaments in the quizbowl calendar, his specialist subjects being philosophy and art history. Paul also excels in the one law question that appears each year. He has recently turned his attention away from answering questions to writing them. Outside of quizzing, he is a keen cyclist and plays the violin. Tom Hill is an Ordinary Committee Member for UKQB. He studied history at Emmanuel College, Cambridge, and began playing quizbowl as a second year undergraduate whilst preparing to appear on University Challenge. Undeterred by a heart-breaking loss in the semi-finals, he continued quizzing and went on to serve as president of the Cambridge Quiz Society. He currently lives and works in London, where he spends most of his free time reading about medieval popes and playing the piano. 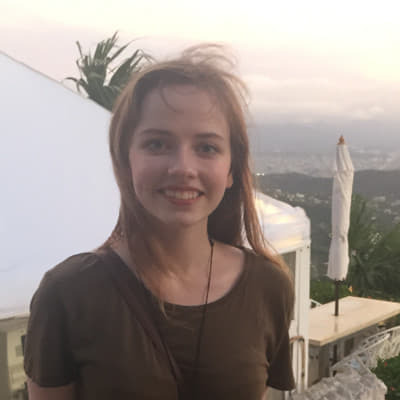 Elysia Warner is an Ordinary Committee Member for UKQB. She studied linguistics and bits of Chinese and Polish at Clare College, Cambridge, and served as president and squad captain for CUQS. Highlights included trips to play at ACF Nationals in New York and Boston, winning BSQC in 2018, and appearing on University Challenge and Only Connect. These days she lives in Birmingham, working as a civil servant by day and on linguistics olympiad projects by night. Her specialist subjects are weird language facts, ballet, and Senegalese fiction.